Gutters are essential to efficiently drain water from your roof to the sewers. This helps maintain the house’s structural integrity by eliminating the risks of having problems related to leaks and badly installed gutters. The good thing about gutters is that they do not need regular replacements. What they need is good maintenance and cleaning gutters to make sure that there are no debris lodged in them. Materials to be used – Gutters are made out of various materials. These materials have different strengths, appearances, and costs. The most commonly used gutter materials are: aluminum, plastic or vinyl, copper, and cast iron. You will need to consider these gutter materials according to your area’s climate because they handle rain water differently and you can buy these materials from stores that sells gutter supply near you. The scope of work – You need to gauge if you can handle the job yourself or not. Installing gutters will require a great deal of physical strength and professional skill which may require you to hire professional help. It is better to be sure about the installation to avoid potential leakage and structural damage. Old gutters – If you are replacing old gutters, then you need to consider the additional tasks that entails. This means that you must first carefully remove the old gutters. This is to make sure that every part of the new gutters is new and strong. In gutter replacement process you will need to also consider the weight of these gutters because you will need to carry it down the ladder. It is highly suggested that you hire gutter contractors from gutter companies to help you, and also you can ask them about gutter repair and gutter replacement cost too. 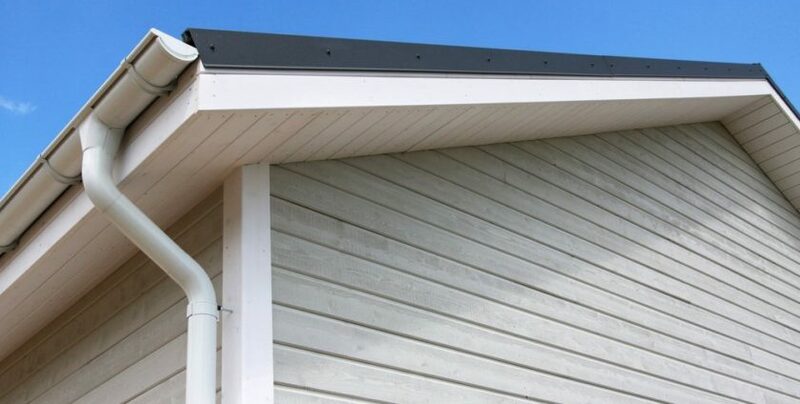 Outside interference – Gutters are meant to handle rainwater which means that you need to consider the climate in your area. This will determine the type of materials you will use, if the drain is enough handle the amount of rain water and many more. Some cities will also have regulations about the type of materials you can use. It is highly suggested that you check them out before buying your gutters. Without gutters, homes will only last a few years before suffering severe water damage from leakage. This can be very costly and sometimes irreparable. That is why installing house gutters properly is a must. If you are not confident with your own skills then hire professionals to do gutter installation. You can potentially save more money by doing this. My fiance and I just moved into a new home and we are thinking about getting a gutter replacement. We are not very satisfied with the gutters in place and their quality. It would make sense to hire a company like suggested since they will be able to handle it more carefully.